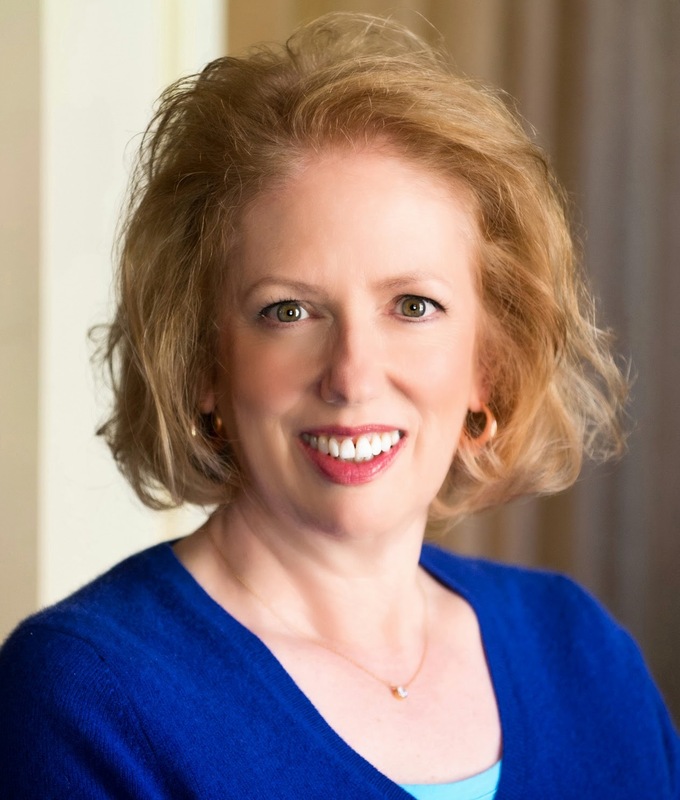 After years of writing historical fiction, Susan Holloway Scott has gone back to penning historical romances under the name Isabella Bradford. Her latest work, A Sinful Deception, tells the story of Miss Serena Palmer, a noble-born heiress raised in India with a dangerous secret that could destroy her. When she doesn’t write books, Isabella, who lives in a book-filled house outside of Philadelphia, is busy publishing a blog, Two Nerdy History Girls, with her friend and fellow historical romance author Loretta Chase. Filled with all kinds of interesting tidbits about daily life in the past, it’s one of my daily must reads. I’d choose the second half of the 18th c., in either England or America. Those are exciting times intellectually and culturally, and as the past goes, it wasn’t the worst time to be a woman. And the clothes are fantastic! When asked that question, most people assume that they’d belong to the elite classes, and choose dinner companions who are likewise rich, titled, or famous. I’ll go the other route, and choose three self-made individuals who, by all reports, were amusing and opinionated: Nell Gwyn, William Hogarth, and Mark Twain. That would be the liveliest, most entertaining dinner conversation EVER. I’m not that dictatorial. As long as people are reading something, anything, then I’m happy. Hmmm….like most writers, my everyday “uniform” is sadly dependent on yoga pants and t-shirts, but my imaginary closet would be filled with vintage Alexander McQueen. You know, to go with my imaginary life. I’m not too proud to admit that I have a real weakness for Sleepy Hollow, Top Chef, Call the Midwife, and Project Runway. I also watch a lot of sports: football, hockey, and baseball, depending on the season. Top Forty/Dance Pop all the way. Musically, I’ve never outgrown my seventeen-year-old self. 7. What’s your favorite holiday destination, and why? Every year I go to Cape Cod every summer with my family. Because it’s so familiar, the moment we arrive I can instantly begin to relax and recharge, and let the sea work its magic. Best part: no internet. Ahhhh…. History, and art. 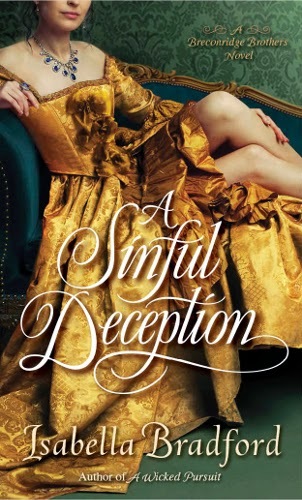 My latest book, A SINFUL DECEPTION (written as Isabella Bradfor), features a heroine who was born in 18thc. India, the daughter of a nobleman stationed there. Brought to England as an adolescent, she must learn to adapt to the rules of Georgian society while not forgetting her Indian past. For the story, I was influenced by so many things – from the growing British presence in India at the time, to the clothing my characters would have worn, Punch & Judy puppet shows, Mughal jewels, the rules for riding in Hyde Park…the list goes on and on. I’m always trying to work interesting historical details in my books to make them richer. I was a hard-core hockey mom. Really. Both my son and daughter played ice hockey, and for many years I felt as if I was always driving to one rink or another. But I knew how to multi-task: I continued to write on my laptop during practices, sitting on those cold aluminum bleachers. For more about what inspires Isabella/Susan and her books, please check out her website and on her Facebook page, plus her blog (written with writer BFF Loretta Chase) Two Nerdy History Girls, Twitter, and Pinterest.